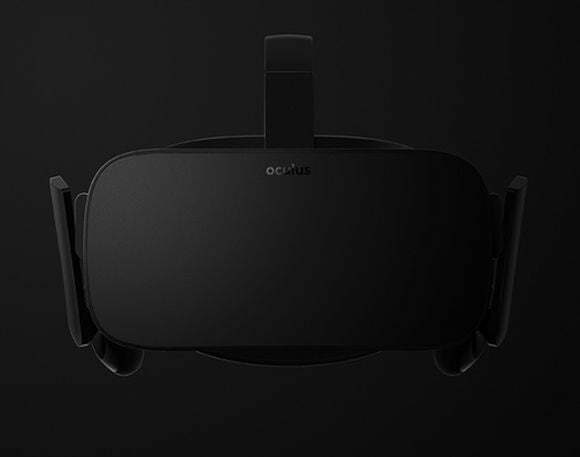 After what seems like an eternity of teasing, acquisitions, and numerousprototypes, the day that was starting to seem like no more than a fable has finally arrived: Oculus VR has announced launch details for its Oculus Rift virtual reality headset. But don’t get too excited just yet. It won’t hit the streets until the first quarter of 2016, with pre-orders starting later this year. “The Oculus Rift builds on the presence, immersion, and comfort of the Crescent Bay prototype with an improved tracking system that supports both seated and standing experiences, as well as a highly refined industrial design, and updated ergonomics for a more natural fit,” Oculus said in the blog post announcing the launch window. Oculus’ Crescent Bay prototype blew our mind when we first tried it at Oculus Connect last September—a VR alien waved at our man Hayden Dingman and he instinctually waved back—but the long delay in releasing the Oculus Rift since the headset was first revealed to the world as a Kickstarter project has given other major companies time to catch up. Samsung released its Galaxy-powered Gear VR headset—which features Oculus software and is better than the Oculus Rift prototypes in some ways late in 2014, and Sony’s working on its Project Morpheus headset. Both are looking great. But it’s the HTC Vive that’s more worrying for Oculus’ prospects. While the Gear VR is tied to mobile phones and Project Morpheus was designed for Sony’s PlayStation 4, the HTC Vive takes square aim at PC gaming—just like Oculus. What’s more, the SteamVR technology powering the Vive creates a more compelling virtual reality experience than the Oculus prototypes because of its pair of VR controllers and ability to let you wander within a 15 ft. radius. Simply put, HTC and Valve’s headset is the new VR frontrunner in town. And Oculus may have just given it crucial first mover status in the nascent VR market. The Vive is targeting a holiday 2015 release date—though given the monumental delays Valve’s Steam Machines have suffered, we’ll see if that launch window proves accurate. Don’t count out Oculus, though. The Rift experience is utterly magical, and buoyed by Facebook cash, the company’s been laying ground to make the Rift’s launch as much of a full-fledged experience as possible, rather than the mere release of a pricey $200 to $400 piece of hardware with boundless potential. Beyond developing VR-ready software with Samsung, Oculus purchased the team behind the legendary Xbox 360 controller last June. That team must be making inroads, because last November, Oculus CEO Brendan Iribe said that a large part of the Rift’s delay can be chalked up to the search for the perfect VR controller. Keyboard, mice, and gamepads just aren’t that immersive when you’re wandering VR worlds. Speaking of VR worlds, Oculus has also been busy locking down actual PC game support for the Rift’s launch. The company’s been assembling a gaming dream team— Doom creator John Carmack and Naughty Dog co-founder Jason Rubin both call Oculus home these days, as well as Jason Holtman, the former head of Valve’s Steam. CCP’s mind-blowing EVE: Valkyrie space combat game has beenannounced as an Oculus Rift launch exclusive. Some of the best games of 2014, including Elite: Dangerous and Alien Isolation,already baked in support for Oculus prototypes, and the list of extraordinary Rift demos available is practically endless. Oculus promises details for “many of our unannounced made-for-VR games and experiences coming to the Rift,” in the coming weeks, as well. “At launch we don’t just want to have a token five, six or seven launch titles like a lot of consoles,” Oculus founder Palmer Luckey said last September. “You have to have a lot of stuff coming out the door at launch. So I guess to those people who are waiting: keep waiting and it will be worth the wait.